Jacks is proud to carry Replacement Briggs and Stratton Diode Assemblies. 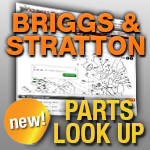 When you have a small engine repair that requires Replacement Briggs and Stratton parts, we are your best bet online. For replacement parts such as Diode Assemblies for your ignition system, Jacks is your place.